The New 2014 Ford Ranger is a thing of beauty and so popular that since its release Ford has not been able to keep up with its demand. A year and more later there is still a mile long queue on these magnificent pickup trucks. It has been designed and developed in Australia as a part of its One Ford Strategy which is reminiscent of Toyota Hilux IMV strategy. Ford will be releasing its 2015 2016 Ford Ranger in mid-2015. 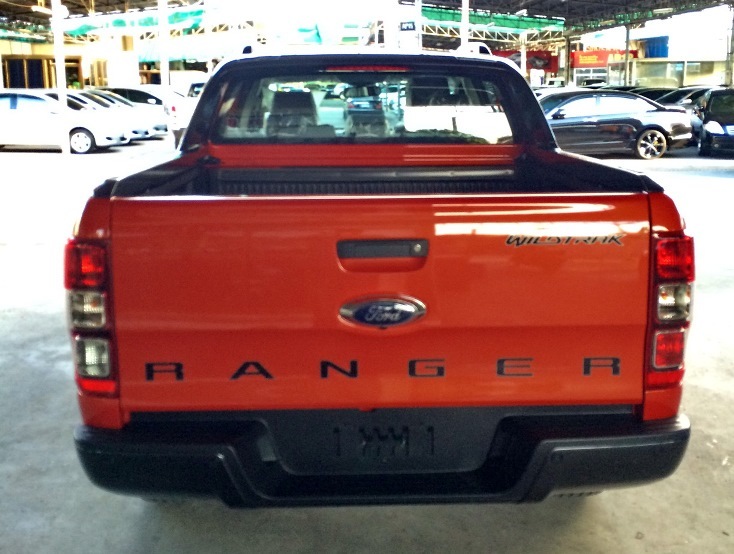 The new 2016 Ranger is expected to benefit from a range of advanced technologies announced in the 2015 2016 Ford Everest SUV, which could include automatic emergency braking and a curve control system designed to keep the vehicle in control if it approaches a corner too quickly. First thing you will notice is how big the New 2014 2015 Ford Ranger is, it is almost as big as the legendary lower range Ford F-150. 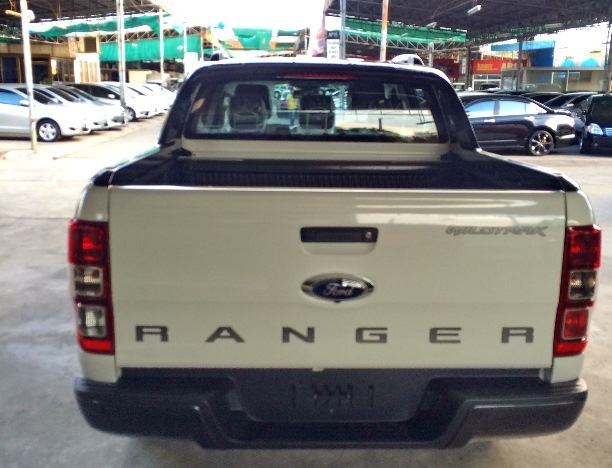 Though the new Ford Ranger in Thailand is about six inches narrower than the F-150, it's within just two or three inches in length of the F-150. It is not clumsy big but bold and handsome big. Prior to the release of 2012 Ranger, Nissan Navara was the biggest pick-up truck at 5,230X1,850 mm but at 5,359X1,850mm Ranger Double Cab is now the biggest pick-up truck around. This results in not only more knee clearance and leg room for the rear passenger but also easier access through the larger rear door. New 2014 2015 Ford Ranger Thai Pickup Truck, Nearly New 2013 Ford Ranger and used 2013, 2012, 2011, 2010, 2009, 2008, 2007, 2006, 2005, 2004 and 2003 Ford Ranger 4WD and Wildtrax are on sale for sale at discount price for import and export at Thailand's largest 4WD pick-up SUV Exporter of Toyota Hilux Vigo, Mitsubishi L200 Triton, Nissan Navara and Ranger. Our Australia, United Kingdom, Singapore and Dubai office can provide Ford Ranger and other pick-up trucks and SUVs of your choice in addition to all other vehicles available in those markets. The new model 2014 Ranger pick-up truck is powered by a frugal 2.2-liter four-cylinder DuraTorq TDCi turbo-diesel engine offering 150 HP and 375 Nm of torque, and a 3.2-liter in-line five-cylinder DuraTorq TDCi turbo-diesel, making 200 hp and an impressive 470 Nm of torque—as much as some V-8s. Those engines come mated to six-speed manual or automatic transmissions; a version of tfive-speed manual transmission are also offered. Even though 2500 cc engine has been down downized to 2200 cc the output of new engine is better than 2011 Ranger and all other pick-up truck with the exception of Nissan Navara. The advantage of lower cc is lower fuel consumption. A 2WD 2200 cc will only consume 7.6 Liters per 100 kms. The all-New 2014 2015 Ford Ranger has been ruthlessly tested: in some of the most hostile environments, under extreme temperatures, and across the harshest terrain on earth. Which is why it’s ready to handle virtually any Challenge or task you set it. The latest model is also more powerful than ever before. This extra power is delivered by a new line-up of advanced Duratorq diesel engines, which can help you transport a payload of up to 1,340 kg and tow up to 3,350 kg. The New 2014 2015 Ford Ranger is the first in class to offer a six-speed automatic transmission and six speed manual transmission. The gearbox has Sequential Shift Control manual override, Grade Logic Control and Driver Recognition, the latter adapts to the driver’s style. The manual is not only 6 speed but also includes an upshift indicator to encourage efficient driving. Globally, the truck will come in 2WD and 4WD drivetrains and two ride heights, with the 2WD Hi-Rider sharing the same frame as the 4WD model. Shift on the fly is available for 4WD models. Engineers have optimised every millimetre of Ranger’s dimensions to give customers maximum interior space without compromising the volume of the cargo box. With Ranger increasingly being a work-and-family vehicle, the engineers have paid special attention to the rear seats in the truck, with the second row in the Super Cab more spacious than key competitors. The B-pillar in the Double Cab has been moved forward, delivering best-in-class rear leg room and knee clearance. Three adults can easily fit in the second row of the Double Cab while two six-footers can comfortably sit one behind the other. A new feature is the locking rear differential that’s activated by a dashboard button. This would be valuable off road when one rear wheel is in mud or not touching the ground. 4WD and Hi-Rider models have 241 mm ground clearance and class leading 800 mm of wade height, good for floods. By the way, the steering is now rack and pinion. Some of its selling features are best in class towing capacity (up to 3,350 kg, payload up to 1,500 kg), Bluetooth with Voice Control, rear view camera, side and curtain airbags, 23 storage spaces in the cabin (including a vented 8.5L centre bin), separate driver passenger climate control, cruise control, trailer sway control, Hill Launch Assist and Hill Descent Control. Electronic Stability Control (ESP) along with traction control on all 4 wheels is now a standard. High-end models will include Rearview Camera and rear parking assist. While the exterior of this truck bears a strong likeness to the 2011 F-150, the interior carries some design cues that are part of Ford's new global look (with a central controller and high-mounted screen), as well as some detailing borrowed from the F-150 as well as Bosch and DeWalt power tools and G-Shock watches, according to the automaker. The new truck comes with the all the updated connectivity features including an iPod connector and Bluetooth, as well as steering-wheel controls. Thanks to its range of advanced Duratorq diesel engines and 6 speed transmissions, innovative technologies, safety and security features and cost of ownership improvements, the all-new Ranger is a pick-up that’s fit for purpose.